Star formation takes place in cold, dense molecular clouds. By heating and dispersing gas that could one day make stars, the black-hole wind forever alters a large portion of its galaxy. By combining observations from the Japan-led Suzaku X-ray satellite and the European Space Agency's infrared Herschel Space Observatory, scientists have connected a fierce "wind" produced near a galaxy's monster black hole to an outward torrent of cold gas a thousand light-years across. 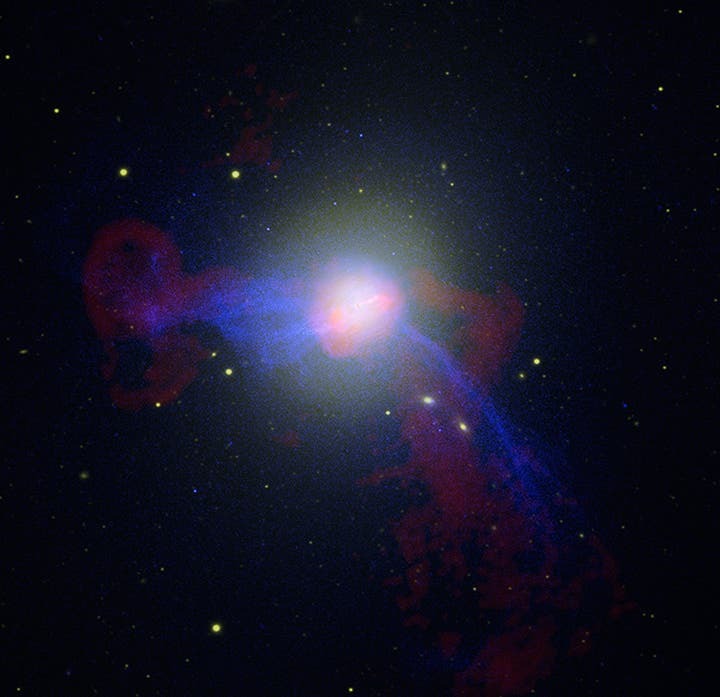 The finding validates a long-suspected feedback mechanism enabling a supermassive black hole to influence the evolution of its host galaxy. 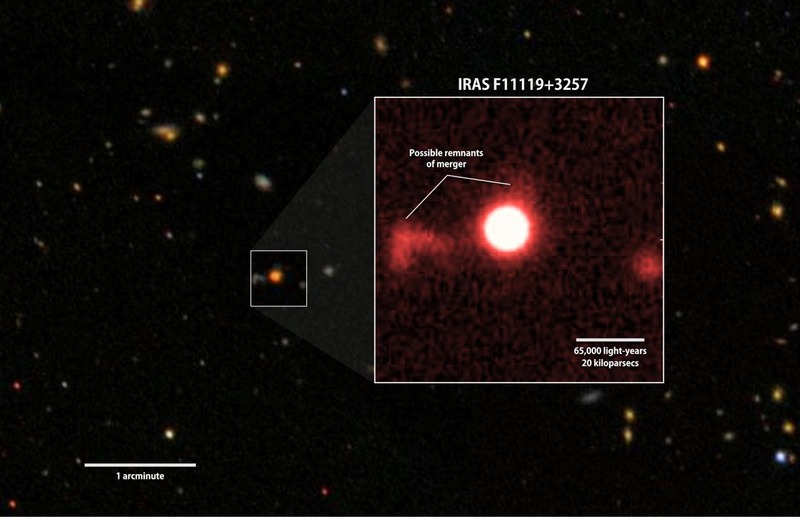 The image below is a red-filter image of IRAS F11119+3257 (inset) from the University of Hawaii's 2.2-meter telescope shows faint features that may be tidal debris, a sign of a galaxy merger. Background: A wider view of the region from the Sloan Digital Sky Survey.